Deadline: 15th November, 2016. International students are encouraged to apply under the Regular Decision plan. By February 15: Scholar notifications announced. Finalists will be notified. 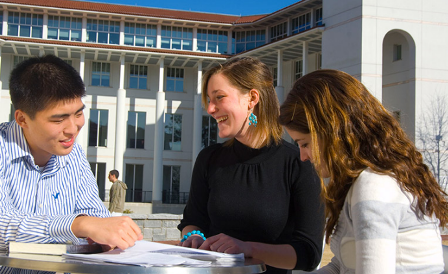 About the Award: Emory University offers partial to full merit-based scholarships as part of the Emory University Scholar Programs. The aim of the campus scholar community is to empower students, through distinct resources and support, to reach their full potential and have a notable impact on the university, Atlanta, and the greater global community. Scholarship will be taken at (country): Emory University, Georgia, United States. Selection Criteria: To be guaranteed consideration for the Emory University Scholar selection process students must submit all required application materials by the November 15 Emory University Scholar Programs deadline. Applicants will need to select one of Emory’s three admission decision plans (Early Decision I, Early Decision II, or Regular Decision). Please note students applying Early Decision I (EDI) may apply for the Scholar Programs, but need to meet the EDI November 1 deadline for all application materials. Finalist interviews for Emory Scholars take place in mid-March. If you are a finalist, you will be brought to Emory (at no expense to you) for activities designed to help you become better acquainted with programs and opportunities at Emory and to aid the Goizueta Scholars Selection Committee in making its final choices for the various awards. Attendance is mandatory for all Scholar finalists. Now that all the information about Emory University Scholars Program for International Students in USA has been delivered nicely; talented students who are eager to pursue their Free Tuition/Scholarships/Study In U.S.A for Undergraduate Bachelors, Associate Degree and Other Degrees, can apply now.